Sanaya Irani is seen giving an interview along with her boyfriend – Mohit Sehgal. Both speaks on their cuddling love story. She says that Mohit makes sure that she eats her food on time and also she gets the food from his home. She refers to him as his little mummy as he really takes care about her food. She says that when Mohit was working for Qubool Hai (as Haider) then they used to see more often. 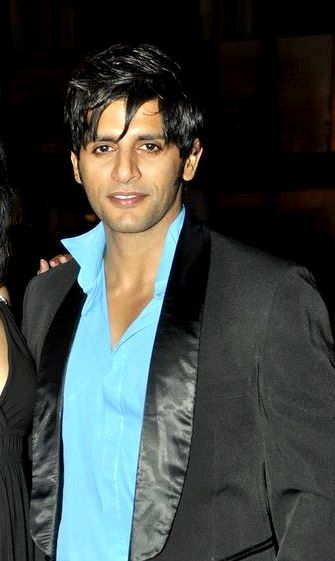 Karanvir is going to enter the show after its 20-year leap and don the role of a young, brash, enterprising, and a charmer man. He is playing the role Ahil Raza Ibrahim. He says that in this role, the women falls in love with him while the men are jealous with him. All the lead couples of the major shows will be performing in the Holi Special function which will be soon airing on Life Ok. Tara – Mrityunjay, Lajjo – Nikhil, Anshuman – Pakhi and Rajveer – Simran among others will be the icing on the cake on the special showcase. The hit pairs of Life OK are very famous for their on screen chemistry and good looks. Kanchi Kaul, the female lead of the hit show Meri Bhabhi airing on Star Plus is expecting a baby. She is the wife of Shabbir Ahluwalia. The whole cast of Meri Bhabhi are happy for her and gives their hearty congratulations to the couple. She already has a son in the show named Dhruv and she is the best mum for him. We hope Kanchi proves to be a good mum off screen too. 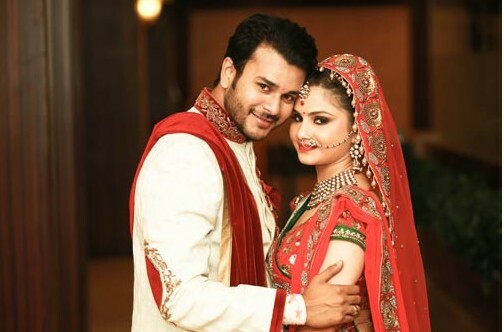 Yet another Actor ‘Jay Soni’ of Sasural Kenda Phool and Sanskaar fame, got married to his fiancee Pooja Shah in a traditonal Gujarati wedding with all the rituals. Although the couple wanted to marry on the Valentine’s day, but due to the non availability of venues, they decided to marry on Feb 18. The newly weds was seen hand in hand and very much in love. Jay’s mother and grand mother got emotional seeing him married. 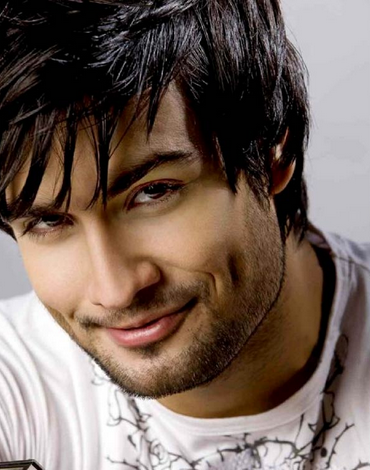 He has taken a 8 days off from his acting schedule for marriage and small honeymoon in Goa. Jay said “I feel great and blessed since there is no worry of any obstacle. The love is pure ‘coz we met with the motive to marry. I am glad my mother is happy seeing me finally settled down. I feel blessed after getting married!”. Jay opted for an arranged marriage like his parents. He wishes to have a successful marriage like them. The wedding guest included his Sanskaar, Sasural Kenda phool co-stars, Karan Wahi and others.The couple pose for the photos with Sanskaar family. 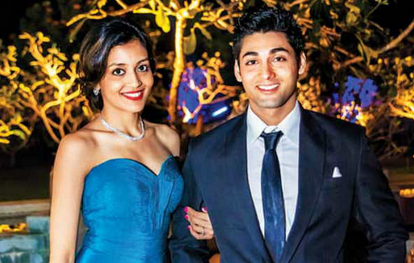 Ruslaan Mumtaz marries Nirali Mehta on Valentine’s Day. Handsome lad Ruslaan Mumtaz got married to his beloved girlfriend Nirali Mehta after 9 years of commitment on the Valentine’s Day 14 Feb. He married her in court and will later marry in a traditional wedding on 2nd March 2014. He shot to fame as Dhruv/DV with Sony TV show Jee Le Zara. He is the son of yesteryear’s actress Anjana Mumtaz. Interestingly, He got married on the show Jee Le Zara last week. He tweeted ” So I’m going to go straight from my shoot to my wedding. Used to here about this happening, now I’m experiencing it. Welcome to TV Dude”. In another tweet, he wrote “Finally packed up and going in my jeelezara costume for my shaadi. Have to make it at 11. Going to be late for my own shaadi man”. Wishing him best of happiness.